A queue of people curls around the block. Are they waiting to get into some exclusive new club? 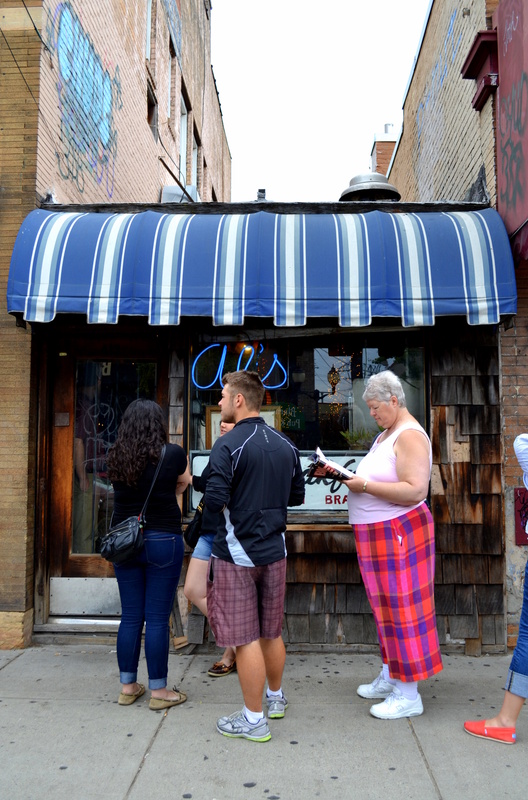 No, they’re lined up to dine at Al’s Breakfast: the Minneapolis haunt that’s served the Dinkytown neighborhood for over six decades. 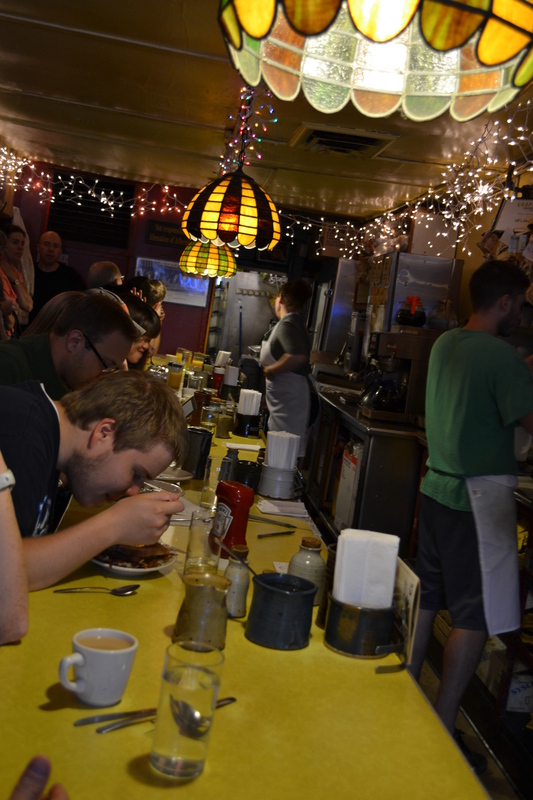 To dine at Al’s is to experience life within the belly of a living, breathing legend. But to earn a seat here, you’ll probably have to wait. So what’s all the fuss about – is it the food? Maybe. 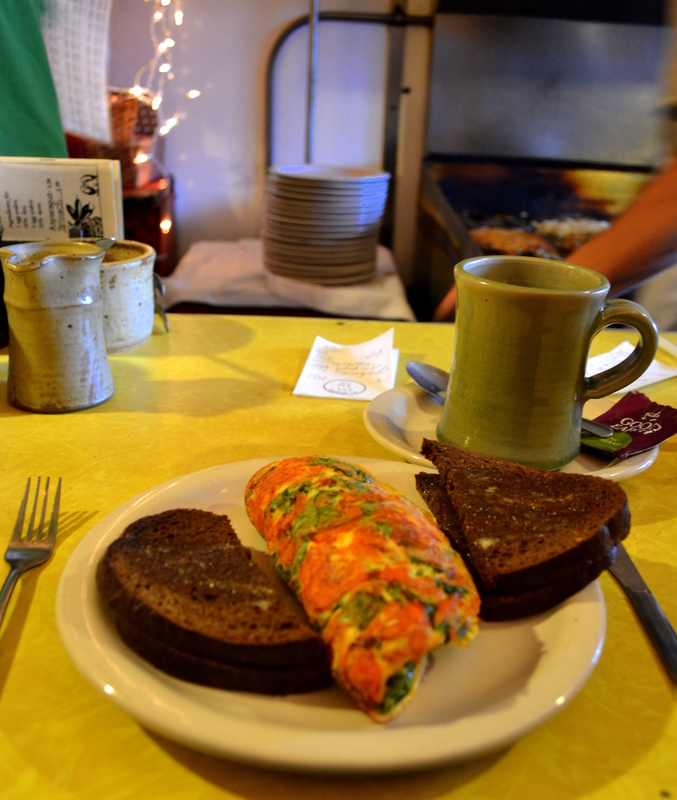 In 2011, Esquire voted Al’s pancakes “Best in America.” When I visited two years later, I eschewed the pancakes in lieu of a two-egg omelet with smoked cheddar, green peppers, and toasted rye bread. People in line behind me were practically drooling at the site of my food. With a cup of green tea on the side, my order, after tax and before tip, came to $8.73. Cheap and delicious! The service is hit-or-miss. Word has it that if you’re good to the servers, they’ll be good to you. 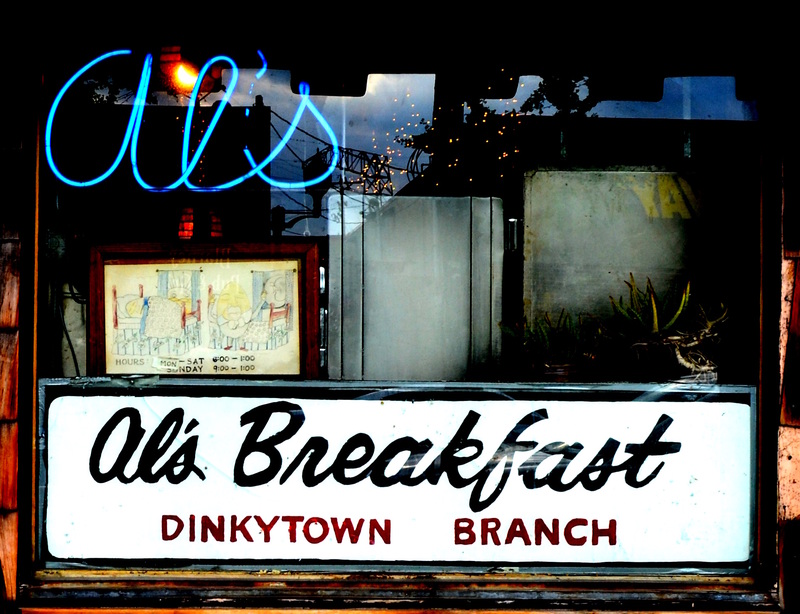 At Al’s, there are rules to be followed. 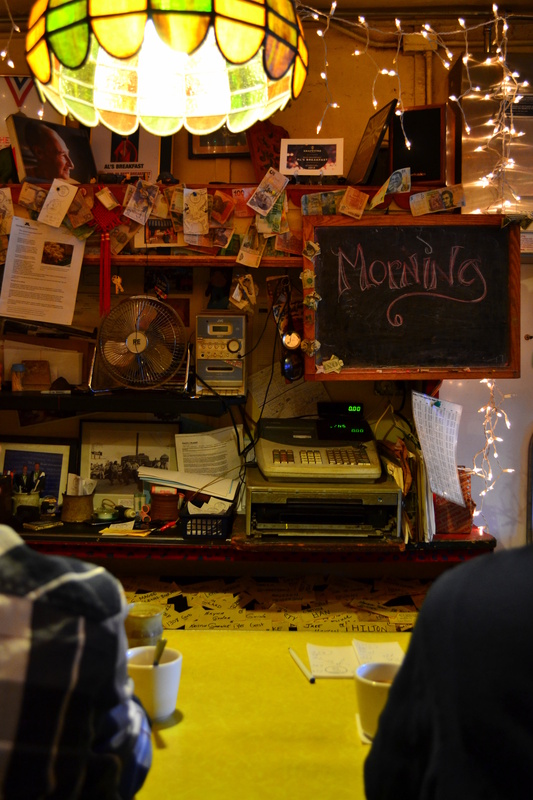 The place is dingy but lively, with short-order cooks barking orders and hushed murmurs of patrons in queue for a treasured spot at the counter. On busy mornings, lines form out the door. 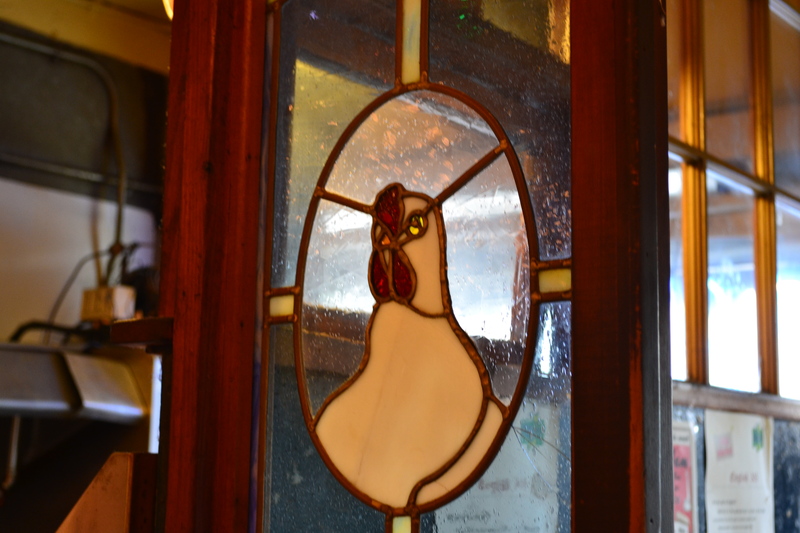 The place has a cult following, and had one even before receiving press and accolades up the wazoo, such as . . .
Long lines out the door. and well worth the wait. Yes, it was soooo yummy. Patricia, do you have any favorite breakfast spots in Philly or Jersey? Jeff and I will have to check out Ponzio’s. He bought his car in Cherry Hill and still takes it there for service on a regular basis, so we’re familiar with the area. Thanks for the recommendation! Yummy! I’ll have to go next time I head to the Twin Cities, P.S. I love the photo of the lady with the colorful plaid pants! You should definitely go! So delicious. I can’t believe I lived in Dinkytown for four years and never once visited.